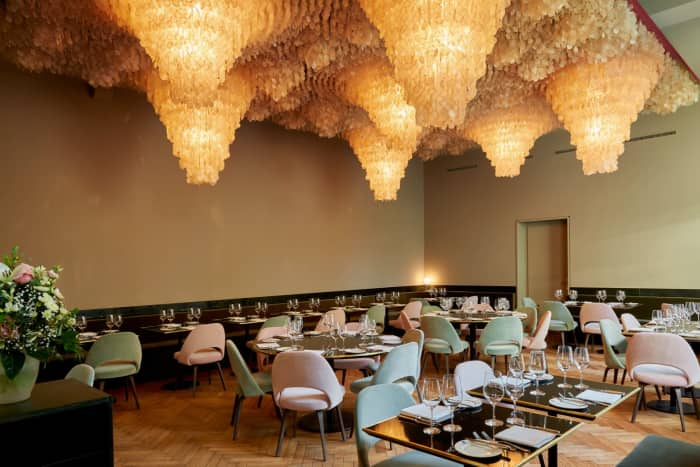 If you happen to be around there you need to stop at the Kunsthalle restaurant, which is hosting an installation with a definitely high design rate. 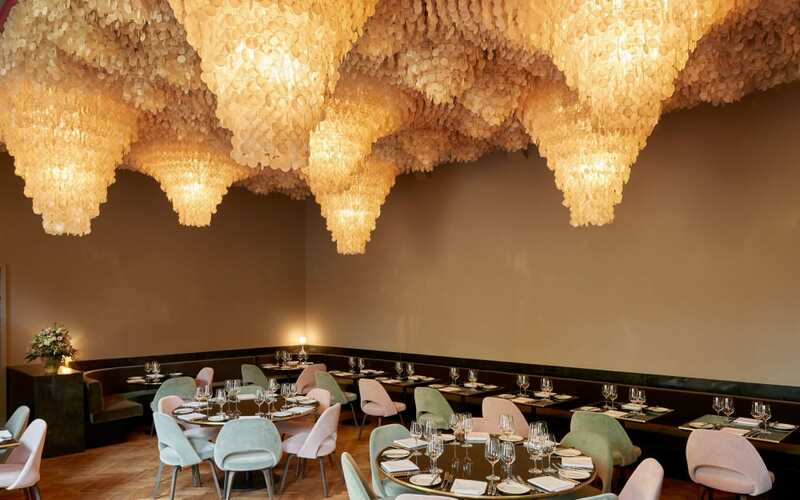 It’s a full-ceiling chandelier that has been designed by the worldwide-famous Danish designer Verner Panton for his own home in 1972. 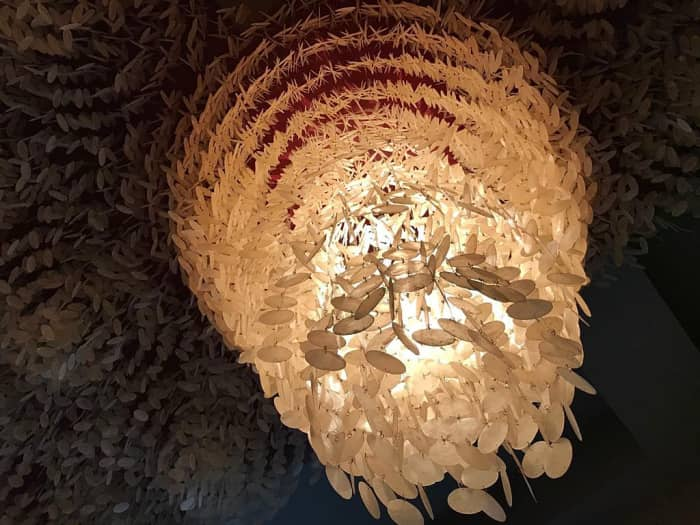 Composed by thousands of individual shell medals, it covers the entire ceiling surface and creates spectacular pendant chandeliers here and there. This lamp (even though art piece fits better as a name) has remained for about 30 years in a storage room of Panton's family home and was recently loaned to the art association of Basel. 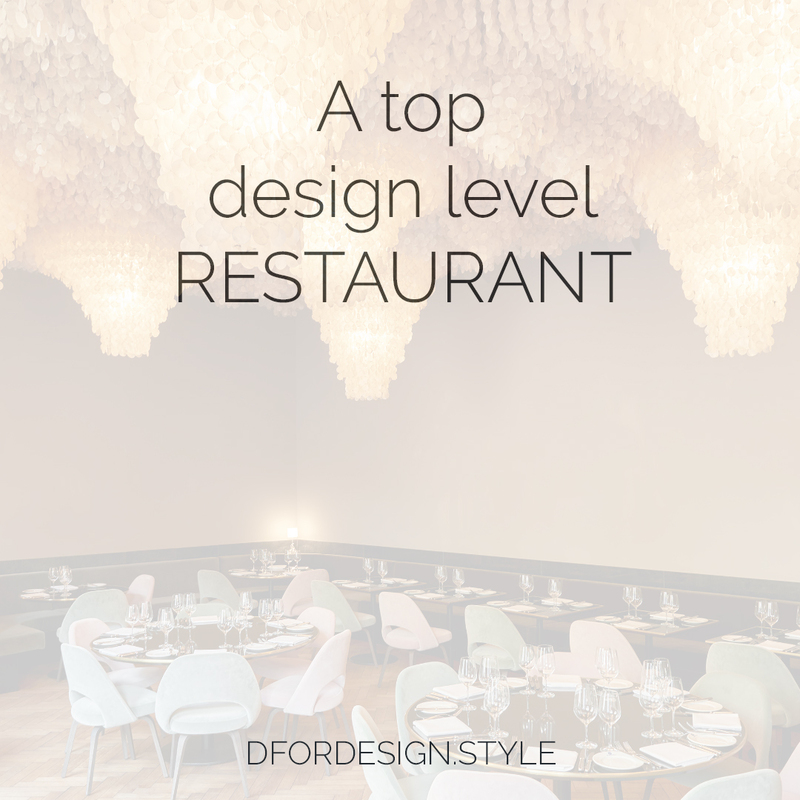 When Verner Panton lived in Basel, he was a regular customer of the Kunsthalle restaurant, so no place would have been better to expose it. And now it's there, for the world to admire it. 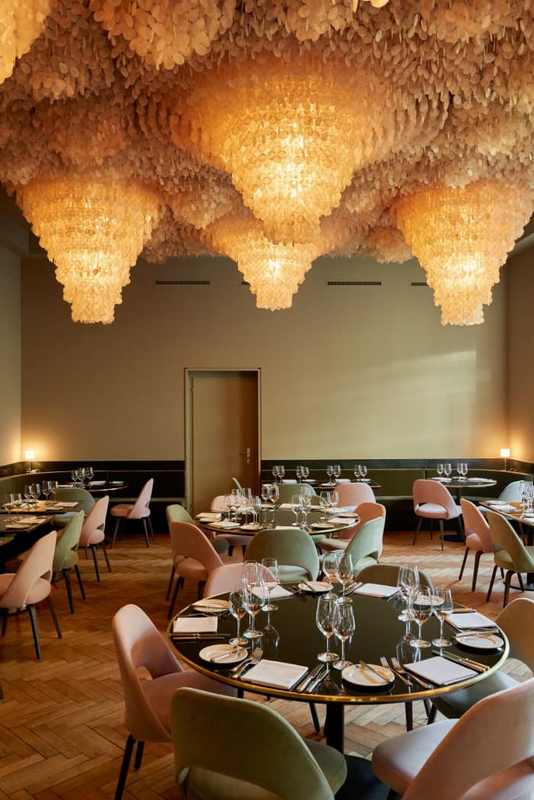 The room that is hosting the installation – the former Weinstube (wine room) – has been redesigned completely for the occasion. A dark bench has been installed all along the wall to frame the ceiling. And everything else, from materials to colours, has been chosen to complement the undisputed focal point of the room. The new contemporary design fits perfectly with this chandelier from the late 90's, confirming it a timeless piece of design. And by the way, aren’t those velvet pastel chairs just lovely? Talking about ceiling design, this is one of the big trend of this 2018 and I’ve shared some inspiring ceiling designs in a recent post, check it out if you missed it!